Plan for success with data-driven workforce planning. Effective informed planning lays the groundwork for a productive workforce that’s positioned to realize business goals. Too often, barriers such as misalignment with Finance, an incorrect picture of the organization, or lack of collaboration with people managers prevent planning from succeeding. Visier People: Planning enables collaborative data-driven workforce planning that allows HR to partner with Finance, letting you make more informed investments, optimize costs, and eliminate surprises. Start with an accurate workforce picture. 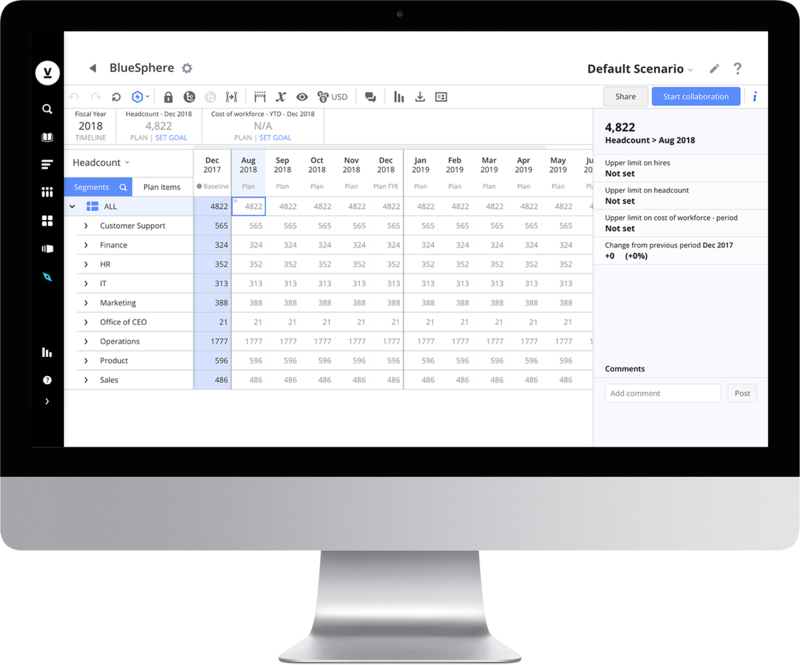 Banish the pain of spreadsheets—Visier People: Planning instantly generates a unified and accurate view of your workforce. 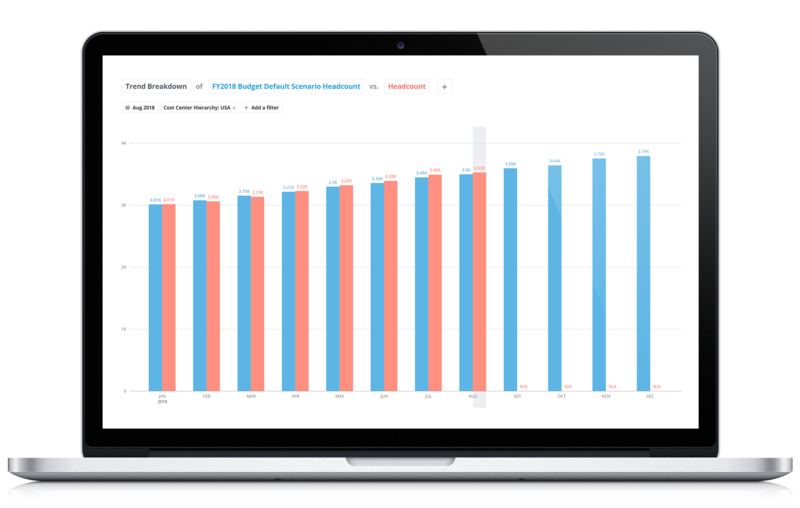 No need for manual entry, no quibbling over numbers—you’ll have up-to-date headcount and financials from all your systems of record available at your fingertips, so you can plan based on an complete picture of your workforce and its total costs. Keep HR in sync with Finance and Recruiting. 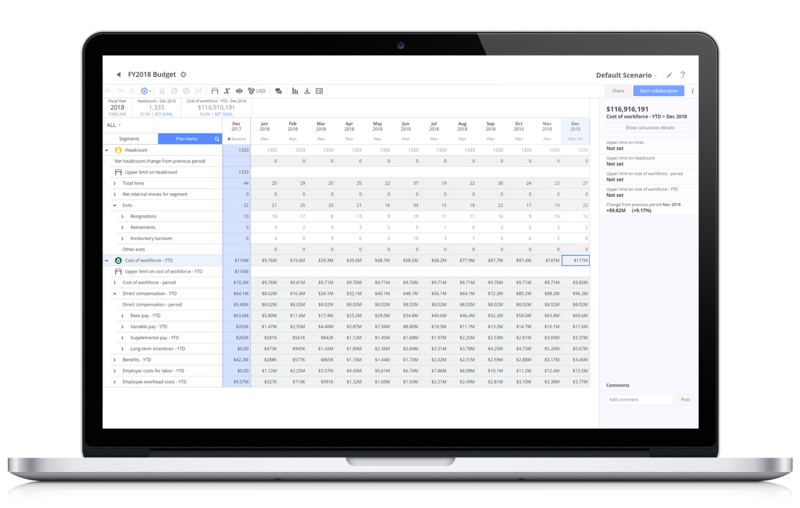 Bring budget and forecast data from financial plans directly into Visier People, allowing HR to add more detail on talent and timing requirements. Share the plan with the Talent Acquisition team. You’ll be able to monitor your plan against actual headcount—and account for predicted exits and internal movement so that you don’t over- or under-hire. Collaborate with stakeholders and model what-if scenarios. Distribute plan sections to the right owners to get input from the right people. Easily share plans with business leaders and people managers to get their feedback and buy-in—while making sure they only see what they are authorized to see. Quickly build what-if scenarios to compare options for the future.